NY Saugerties Lighthouse is a famous historical landmark located at the confluence of the Hudson River and Esopus Creek. Recently rebuilt from ruins and accessible on foot through tidal swamps it serves as a romantic Bed & Breakfast hideout. 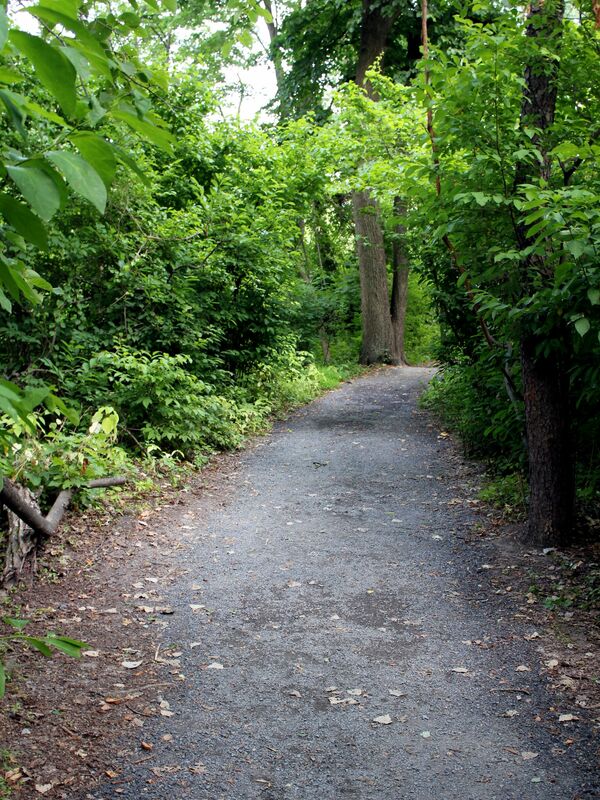 Once upon a time Saugerties (today a little town located some 40 miles south of Albany at the confluence of the Esopus Creek and mighty Hudson River) was a bustling commercial and passenger port. 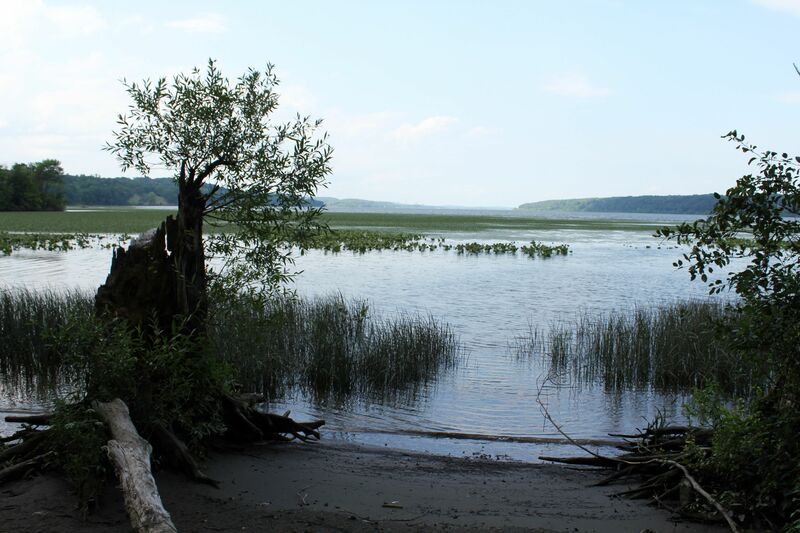 During the 19th and early 20th century the waterpower of the Esopus Creek was harnessed by mills of paper industry each day delivering tons of paper to New York City. 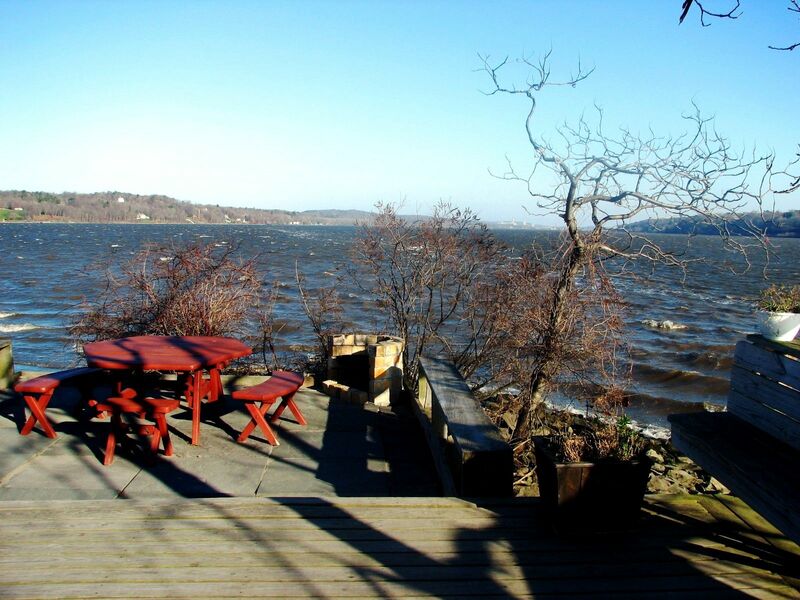 Given the importance of this commercial waterway and dangers of Esopus’ shallow waters in 1836 the first lighthouse was built at the mouth of the creek. 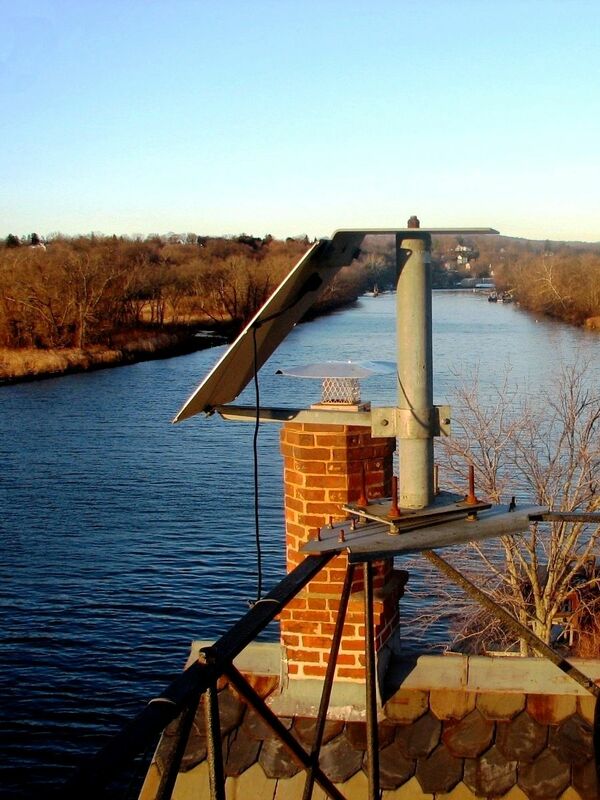 The stone structure erected on an artificial 40 x 50 feet pier used five whale-oil lamps and parabolic reflectors to safely guide ships into the Saugerties port. According to the books, the first lighthouse keeper - Abraham Persons was paid $350 per year (quite hefty salary) what confirms how demanding and difficult this job was at those times ….. Severe weather conditions, Hudson’s icy waters and high tidal currents as well as poorly executed construction quickly led to the degradation of the pier and lighthouse structures. As a result in 1867 the new larger and more robust artificial island made of granite stones was raised next to the old pier. Subsequently the original lighthouse was replaced by the new two-story red-brick structure with the lantern room on the top. As the sign of time, the whale-oil lantern was replaced by modern kerosene lamps with six-order Fresnel lenses. Much bigger and frankly very unusual as for the lighthouse structure provided accommodations for keepers’ families (it may be worth to note that two 19th century keepers were women). In 1888 the lighthouse’s island was connected to the land by a jetty making keepers’ life easier. But the biggest changes happened in the 20th century. In 1940s, the kerosene lamps were replaced by electricity and lighthouse received the “face-lift” in form of much needed plumbing, phone and steam heating. 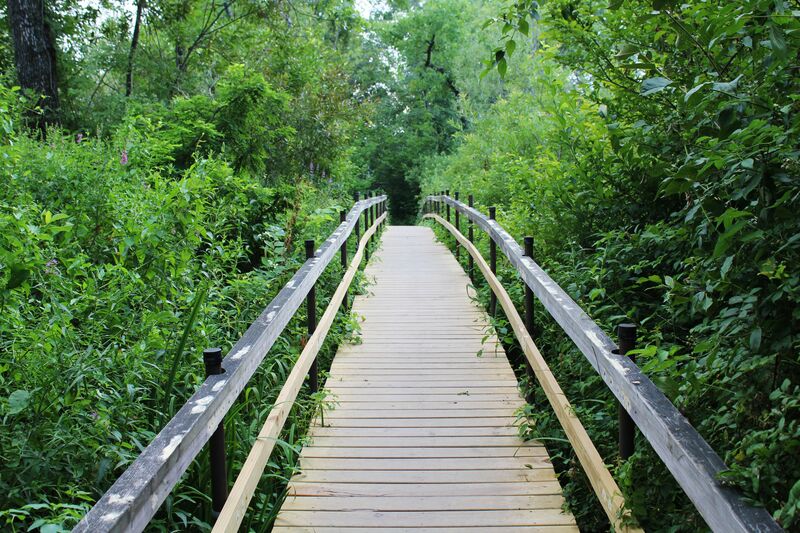 Ruth Reynolds Glunt Nature Preserve is open from sunrise to sunset. However as it turned out, despite the fresh modernization the Saugerties Lighthouse outlived its time. 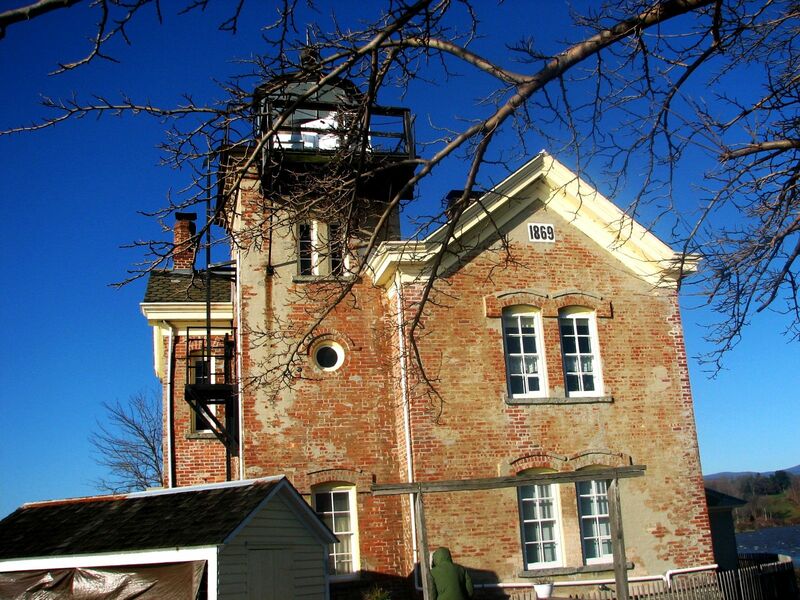 Simply speaking at that time the days of Saugerties Lighthouse glory were already numbered. 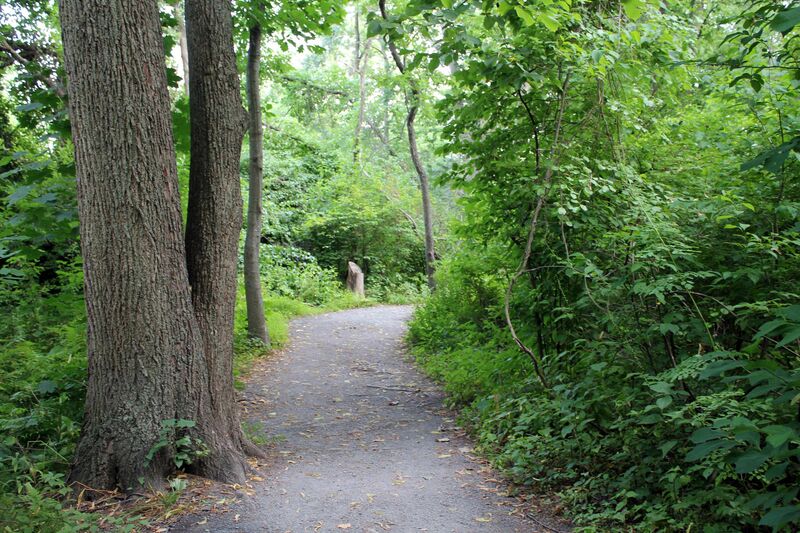 The factories along the Esopus Creek were gone one by one, passengers boat service to NYC discontinued and ferries across the Hudson River forgotten…. So when in 1954 the light was automated and the last keeper Ed Pastorini with tears in his eyes left the lighthouse for the last time closing the door it was obvious that this is an end of an “epoch”. Indeed with the disappearance of big commercial ships from the nearby waters and no apparent interest from US Coast Guard, the Mother Nature largely reclaimed the former industrial area. And not surprisingly the abandoned lighthouse left at the merci of weather and time started to fall in ruins. Vandalized, crumbling structure was about to be knocked down when the “miracle” happened. 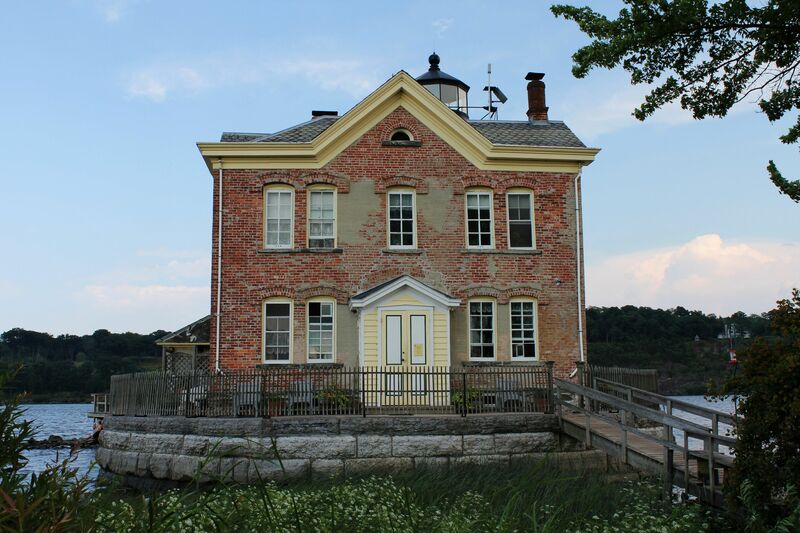 Thanks to “heroic” efforts of local historian Ruth Reynolds Glunt and architect Elise Barry - the Saugerties Lighthouse avoided the demolishing ball. In 1978, after the long battle with bureaucracy they succeeded to place the lighthouse on the US National Register of Historic Places. 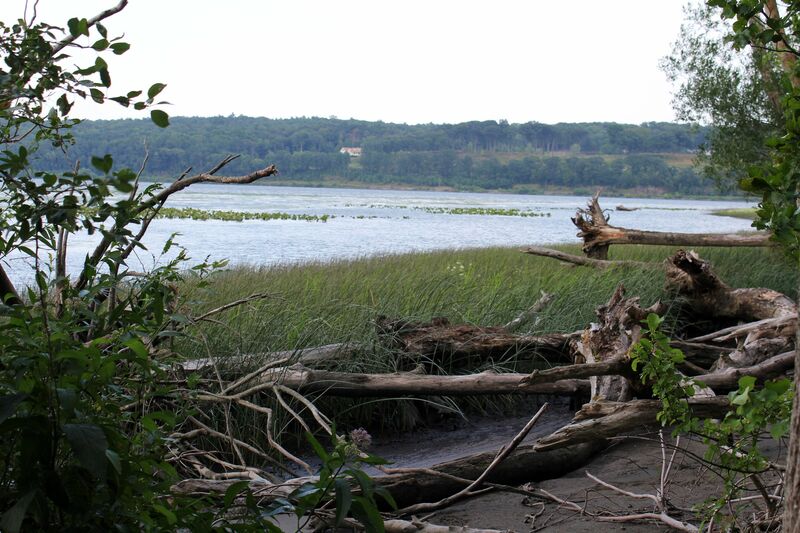 Then in 1986 the newly formed Saugerties Lighthouse Conservancy acquired this historic landmark and the surrounding wetlands from US Government for $1. 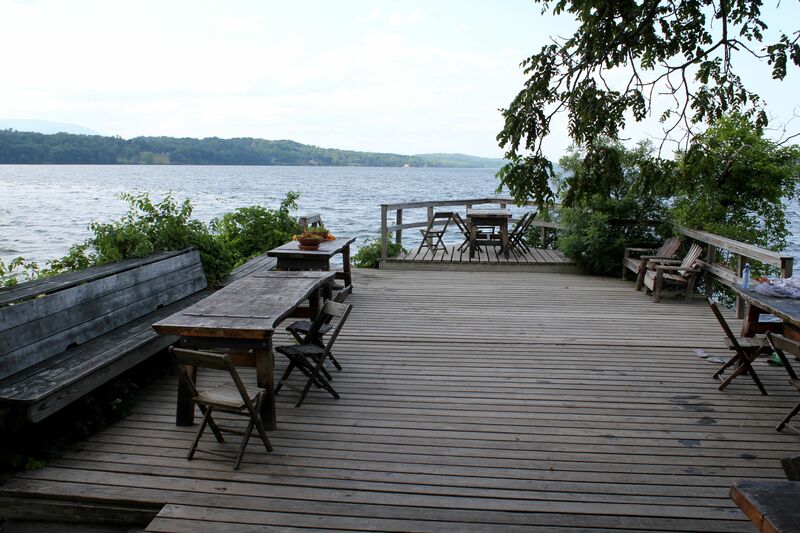 That market the beginning of the new era in the life of the Saugerties Lighthouse. By that time the lighthouse building was already in the state of disintegration requiring complete “brick-by-brick” reconstruction. It resembled rather the collapsing pile of bricks with rotten floors and roof than the lonely “Guardian-On-Duty” from the past proudly standing in the middle of water. Successful fundraising campaign as well as enthusiasm and support of local community led to the full restoration of the Lighthouse. Walls, stairs, floors and platform were completely rebuilt. The lantern room was removed from the top of the structure, refurbished and then re-installed back in its original place. 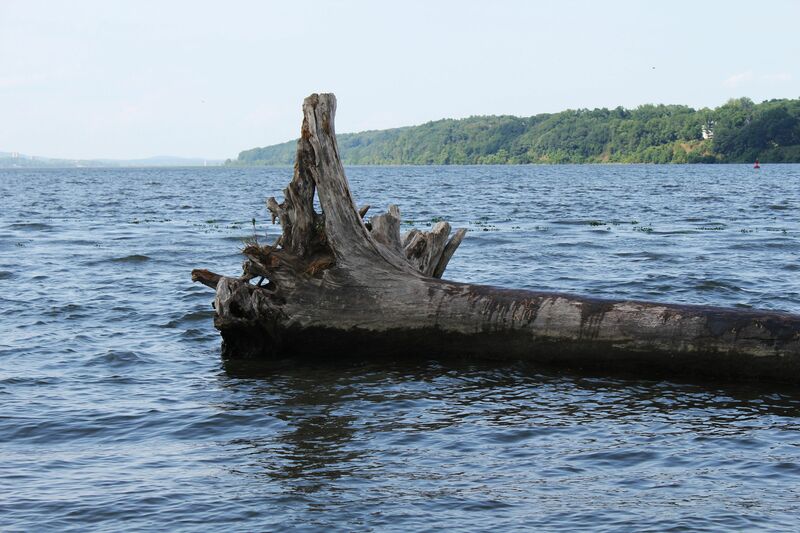 (these days for the safety of recreational boats the Coast Guard maintains buoys on the Hudson River and Esopus Creek). 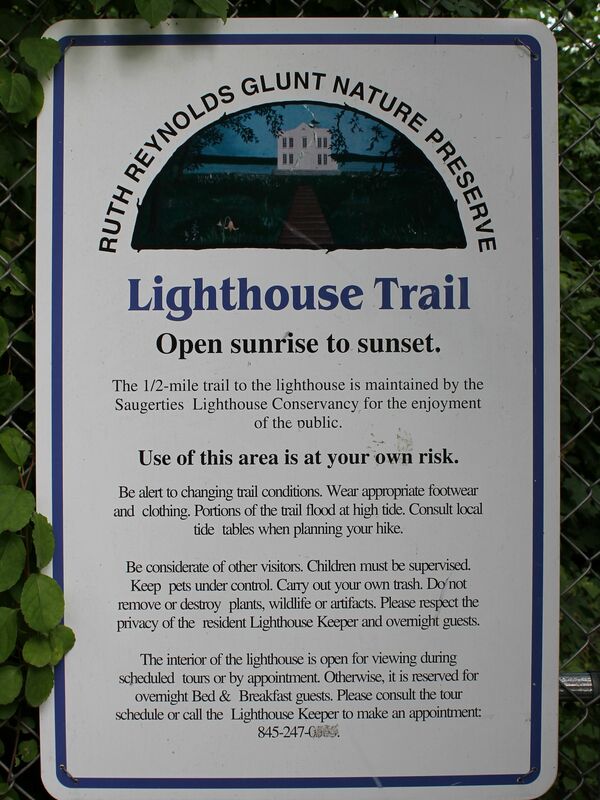 At the end of the trail through the Ruth Reynolds Glunt Preserve the view opens on the structure of the lighthouse. Well, that is how far you can get as a passing-by tourist. 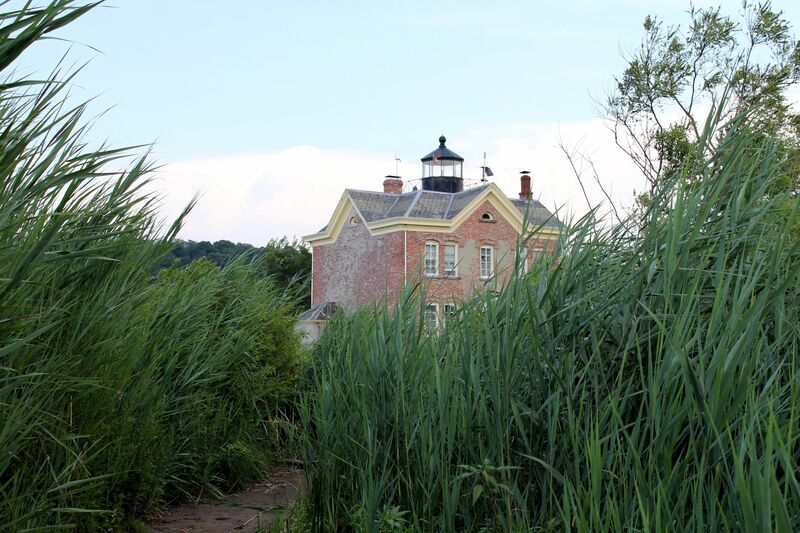 To “penetrate” the walls of this historical building you either have to make an earlier appointment with a “Lighthouse Keeper”, take one of Sunday’s tours or the best – buy the night in the Lighthouse’s B&B. But frankly, for this last option to happen you may have to wait long because the rooms (only two available for tourists) are rented long months ahead. Good luck! For these unlucky the next page reveals the interior of the Saugerties Lighthouse. 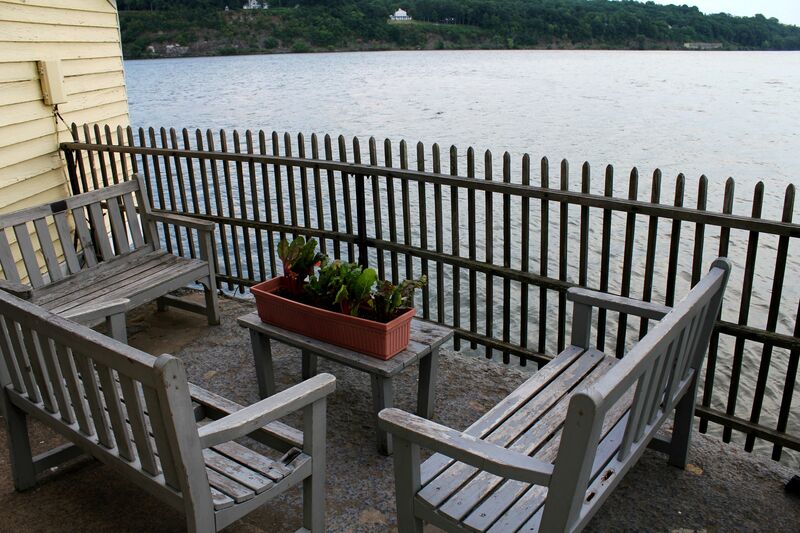 This time you do not need any reservation, just click on the link Lighthhouse to open the door to the romantic bed and breakfast hideout on the NY Hudson River….